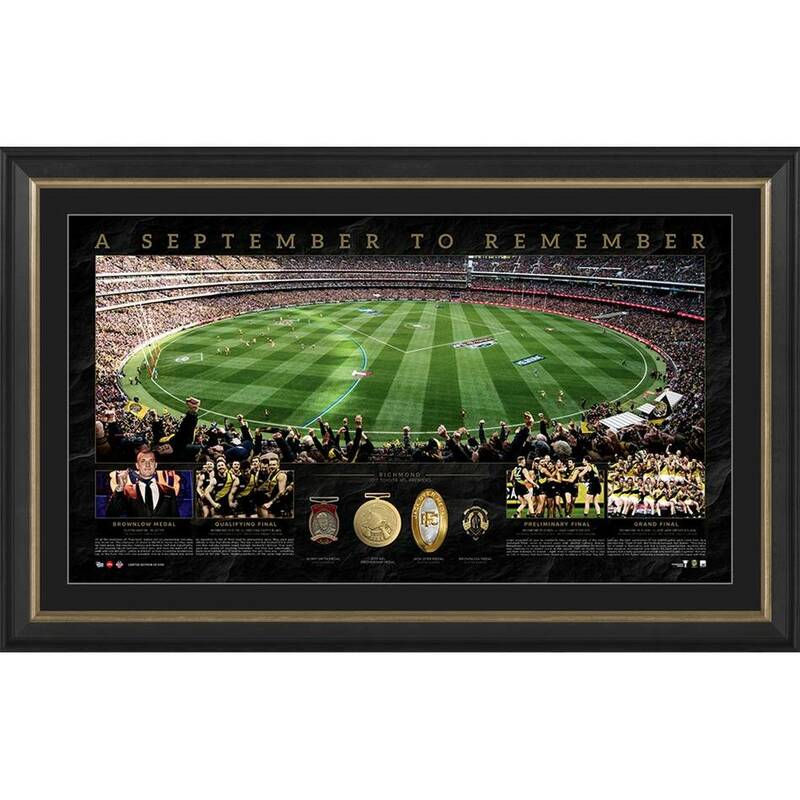 Official Memorabilia, in conjunction with the AFL and Richmond Football Club, is proud to release ‘A September to Remember’, a beautifully presented piece featuring a wonderful panoramic still of the MCG on Grand Final Day. ‘A September to Remember’ is officially licensed and endorsed by the AFL and AFLPA, and is a must-have for all Tigers fans and astute collectors alike. Don’t miss out – secure your edition before stock runs out!